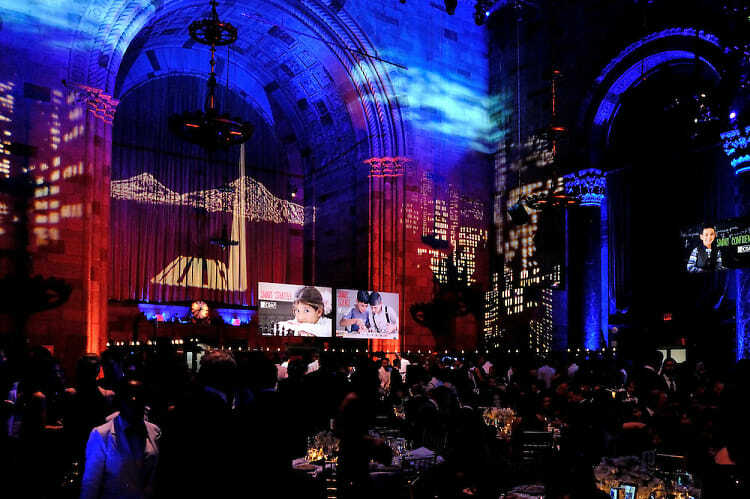 The 12th Annual Children of Armenia Fund (COAF) Holiday Gala held on December 11th at New York City’s Cipriani 42nd Street raised over $3.7 million to fund the organization’s first SMART Center being launched in Armenia’s Lori region. The COAF SMART initiative will consist of a SMART Campus currently being built on the outskirts of the Debet village. The evening was emceed by actress Caroline Rhea and featured performances by Tony Award-group The Harvard Callbacks, and a special performance by the Rakiem Walker Project. Clips of Conan O'Brien and Andrea Martin welcoming guests were shown during the program. This year, Martin Short, John Stamos and Sean Hayes had pre-filmed messages in support of the Gala which were posted on COAF’s social Philanthropist and biotechnology entrepreneur Noubar Afeyan received this year’s Save a Generation Award for his continuous support for COAF and many other projects in Armenia. Go HERE for more photos by Stephen Smith and tag yourself and your friends!